Explore the solar system in a truly out-of-this-world adventure! 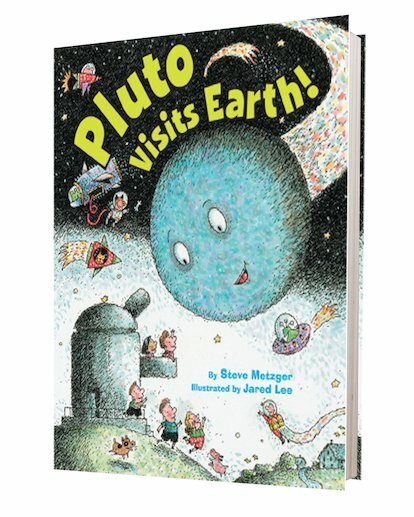 Pluto travels to Earth to complain when he learns that astronomers have downgraded him from a planet to a dwarf planet. But on the way, he realises that – big or small, planet or not – he’s still unique and special. What’s more, on his journey to Earth, Pluto meets a whole host of shining stars, mighty moons and amazing planets! As informative as it is entertaining, this action-packed tale will delight any would-be astronaut or astronomer. Let Pluto be your guide to the marvels of space!